Shri Kripa S. S. Udyog was established in the year 1998. 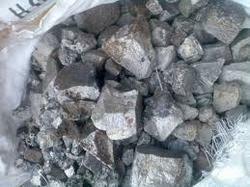 We are the leading Importer, Exporter, Wholesaler, Retailer, Trader and Supplier of Petroleum Coke, Ferro Chrome (HC/LC), Ferro Silicon, Ferro Boron Lumps, Graphite Granules, Silico Manganese etc. Being a client-centric organization, we are involved in providing utmost quality products to customers that satisfy their entire requirements and needs. To render complete satisfaction is our main objective.